We first brought this Wailea Golf Estates listing to market at the end of November 2017. At the time of its listing, it was the lowest priced home in the neighborhood and surely impressed some interested parties. With just over 2800 sqft of interior living, the single level floor plan is open, free flowing, and spacious. The 3 bedrooms and 3 bathrooms is perfect for any visiting guests or large family. Designed with timeless architecture, thoughtful lines, and classic design, this home is representative of what the modern Wailea lifestyle calls for. 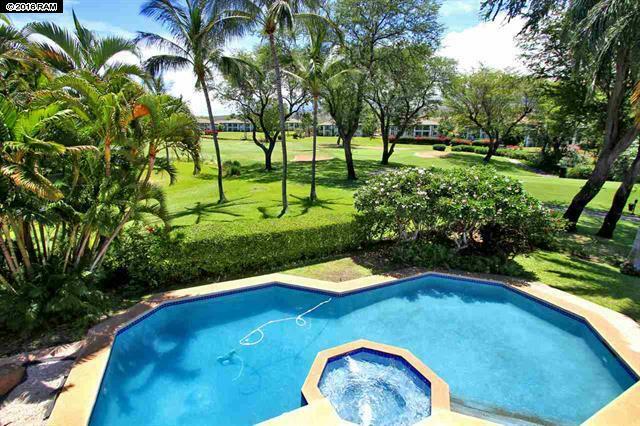 Tucked away on a perimeter lots in the community near the Wailea Golf Estates Phase II, this custom residence boasts sprawling views of the Old Wailea Golf Course and beyond out towards the West Maui Mountains, Mol0kini, and the deep blue Pacific. 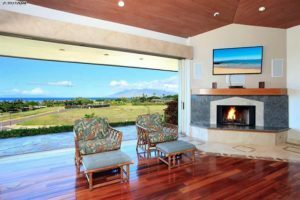 Sitting on just over 1/4 of an acre, the property has been built to maximize every square foot including 573 sqft of outdoor lanai space to enjoy the indoor/outdoor Wailea living lifestyle. The lanai is the perfect spot to lounge around in while you enjoy your own personal pool and hot tub. After some negotiations, we were happy to secure a final sale price of $2.1 million. Designed both for daily living as well as entertaining your friends and family. From the moment you walk through the front doors of this property, you will immediately notice the pride of ownership and will appreciate all of the recent owner upgrades. Interior features and appointments include a brand new A/C system (Sep 2017), jetted tubs, a fireplace in the great room, surround sound system, security cameras, custom stonework and woodwork throughout. African mahogany, koa, teak, cherry and tiger woods, granite and travertine with gorgeous inlays. Expansive pocketing doors which open to pool and spa area with new deck, built-in BBQ, and outdoor shower. 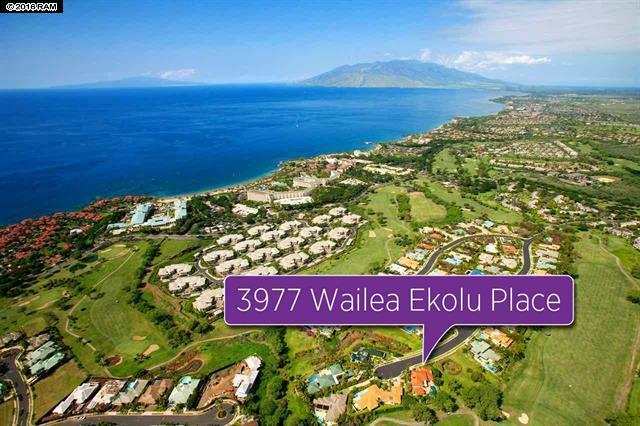 3977 Wailea Ekolu Place is our latest listing in the Wailea Golf Estates and stands out for its desirable location in the community. Built in the late 80’s, the architecture of the home was modeled after a timeless design meant to transcend time and represent a thoughtful display of lines. 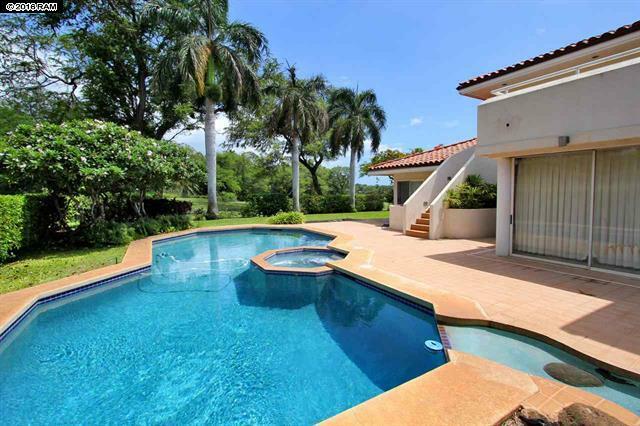 Sitting on more than a 1/4 of an acre in a private cul-de-sac, the property is tucked away in the back of the community where the old Wailea Blue Golf Course surrounds the property in its own cone of privacy and Wailea beauty. Every part of the the lot was carefully considered to maximize space utilize its orientation to take advantage of the ocean and mountain views. The home itself allows for large open spaces and offers over 4000 square feet of interior space, 2 covered lanai spaces, 1 open lanai, and plenty of outdoor entertaining area surrounding the pool; total living area easily surpasses 5000+ sqft if you’re looking at total living area. 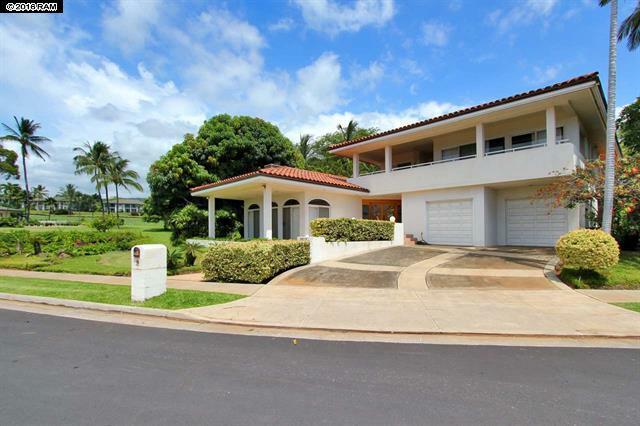 The two lanais at the front of the home offer ocean views from the 2nd and 1st floor, while the the soothing golf course views in the back of the home are a nice backdrop when relacing at the pool. 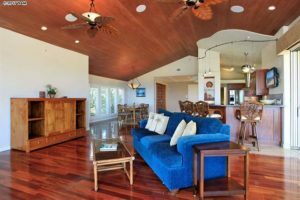 The home includes 4 beds and 4.5 baths, so there is plenty of room to stretch out and call 3977 Wailea Ekolu Place home. 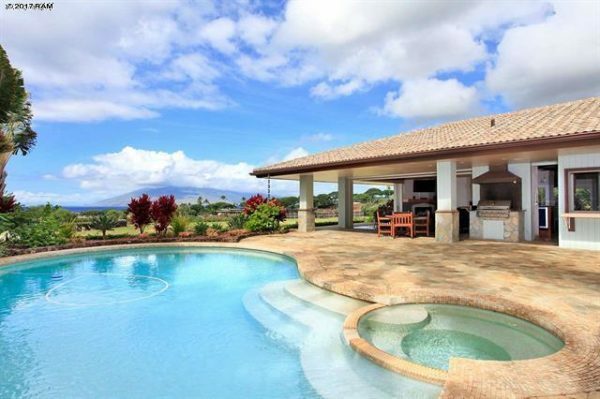 Located at the pinnacle of the Wailea Golf Estates, this spacious home has so much to offer to the discerning buyer with the right imagination. 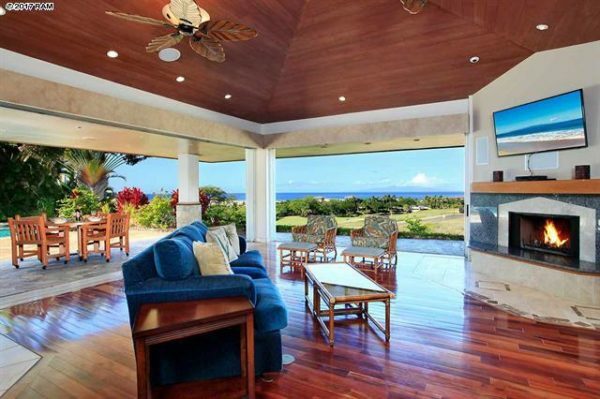 This custom built residence overlooks the Old Wailea Blue Golf Course with gorgeous views of the Pacific Ocean, the outer islands, and Maui’s year round epic sunsets. Nestled on one of the most private lots in the community near the end of a cul-de-sac, this custom residence features a large, open floor plan. Designed both for daily living as well as entertaining your friends and family. From the moment you walk through the front doors of this property, you can visualize the potential. Just in need of a little tender loving care. That being said, you simply cannot recreate the location in this community. 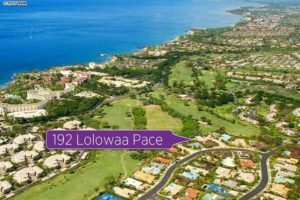 The Wailea Golf Estates is another community that sees little sales volume because of its price point and reluctance of owners to sell. 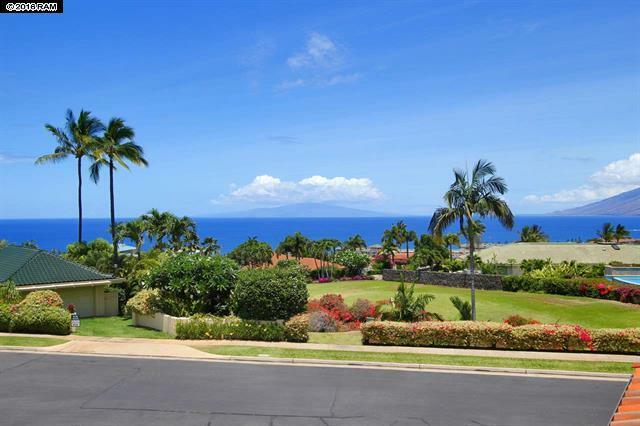 The neighborhood is desirable to residents because of its private location in the Wailea resort and slight elevation which allows for commanding views over the Old Wailea Blue Golf Course and expansive ocean views. With 5 home sold for a running sales volume of $13.5 million, it has been a productive year for the market where it typically only sees a handful of sales in the year. Of the home sold, 60% were sold within 3 months of coming to market, while the remaining 40% need a little over a year to sale. Days on market can vary widely and come down to how set on a lit price sellers are; some are more willing to negotiate, while others get fixated on maximizing their sale price. Interestingly, 3 sales were on the lower end of the market with the most notable being 1 sale in the $1 million range. However, the sale in the $1 million price point is an outlier deal and was sold as an REO home with upgrades being necessary to remedy some interior damage/lack of care. On the high end of the market, the home sold is an absolute stunner with unobstructed views over the golf course and beyond towards the deep blue Pacific Ocean. 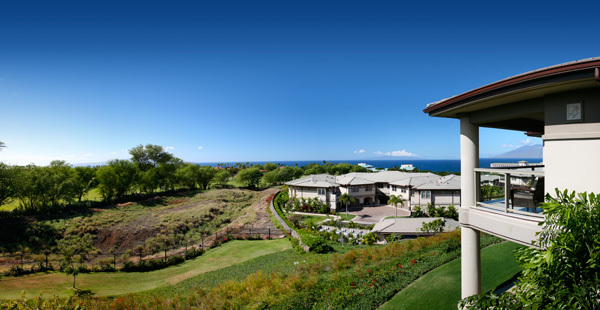 At this time of year in the Wailea Golf Estates community, the market is experiencing an okay amount of inventory. 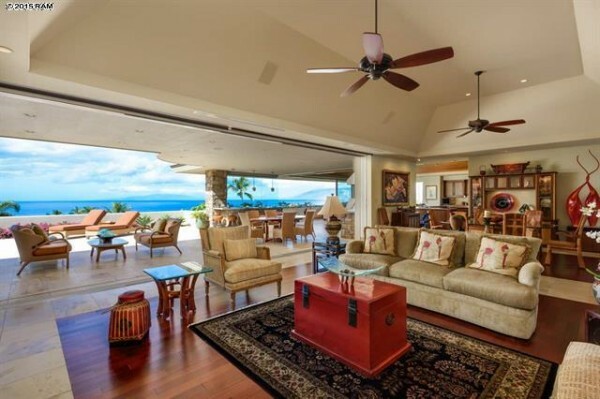 This particular golf course community isn’t known for having an abundance of inventory, but rather its prestigious reputation among the Wailea real estate community. With strong recognition among buyers, it makes it that much more competitive for those interested in the community. 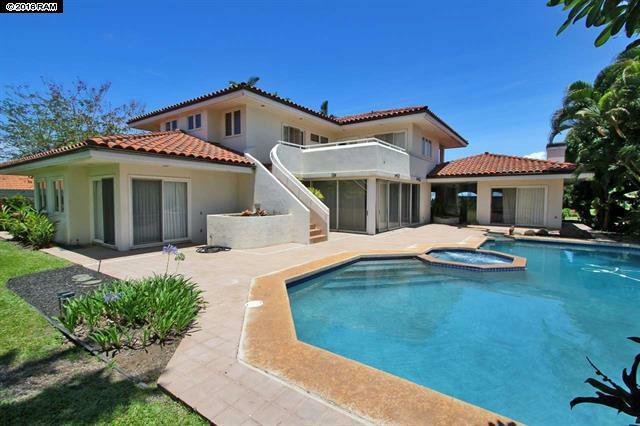 The important part is that buyers must be aware that is rare to get into the community for under $3 million. Also, residents here are more long term compared to Wailea condos for sale; homes cannot be rented out on a short term basis. Of the 3 homes for sale, the market is extremely top heavy with more than 66% of the listings being priced above the $5.5 million mark. Two of the listings have come to market with the last 6 months, while the remaining unit has been listed for longer than 2.5 years. For buyers trying to put a measure on value, prices will range anywhere from $1000-$2000/sqft. Please consider me to be your trusted Maui real estate and lifestyle adviser. I was born and raised on the island, and spend a considerable amount of time to inform my clients about the best deals currently on the market. 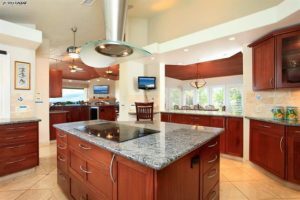 Don’t hesitate to call me for your any of your Maui real estate needs as I would be honored to assist you in your home search.